For a girl of just 17, she was understandably nervous as she sent the champagne bottle crashing against the bow of the 28,700-ton liner Edinburgh Castle. 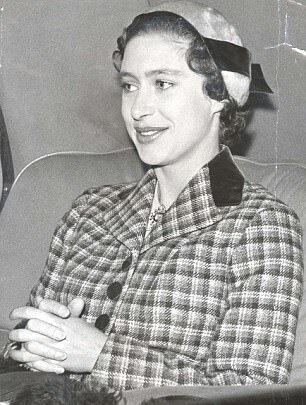 Princess Margaret was, after all, launching her first ship, and the crowds at Belfast’s Harland and Wolff shipyard went out of their way to help her through the ordeal. They cheered and applauded, and an apprentice presented the royal visitor with a bouquet. The generous Ulster folk saw what they took to be King George VI’s unworldly younger daughter, a novice princess learning on the job. They took to her instantly. Long before Kate and Diana, Princess Margaret was the royal pin-up, a hugely popular and glamorous figure. Reports of her visit to the Province described women and children fainting with excitement at seeing her. But were the crowds seeing the real Princess? For away from the public excitement and cameras, a very different figure was emerging: a wilful young woman who, it seems, had a lover almost twice her age. 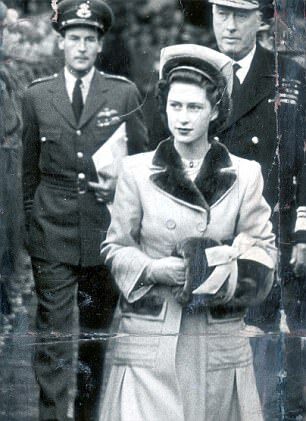 The story of the Princess’s passionate, but ultimately doomed, affair with her father’s equerry, Battle of Britain flying ace Group Captain Peter Townsend — a married man with children — is one of the best-known episodes of the Queen’s reign, and has been fertile ground for the Netflix series The Crown. It is a story that has been repeated in such minute detail that one could hardly expect anything new of significance to emerge now, some 60 years later. Were it not for a new biography about Margaret — Ma’am Darling: 99 Glimpses Of Princess Margaret, written by Daily Mail columnist Craig Brown — the story would seem to have reached a natural conclusion, especially with both Princess and lover being dead, he in 1995, she seven years later. But last week, Brown used his Mail column to reveal that someone who had read his book has unearthed fresh information which some might view as startling. What it suggests is that the love affair began years earlier than is popularly accepted. Indeed, it seems that when the Princess launched the Union-Castle liner on October 16, 1947, she was already in a relationship with Townsend, who was then 32 and the father of two young sons. We must stress that there is no proof they were intimate at that stage. But what we do now know is that for the visit to the shipyard, on which Townsend accompanied her, a request was made for them to have adjoining bedrooms at Hillsborough Castle, the then governor’s official residence in Belfast. They also posed for a photograph with the Governor of Northern Ireland, the late 4th Earl Granville. It was at a book-signing session that a figure approached Brown with the information. He had found notes among official papers of the visit recording that the Group Captain had asked for a different bedroom to the one he had been allocated. He asked to be moved next door to Margaret. This, remember, was 70 years ago. Even today the idea of a married man in his 30s asking to be in such close proximity to a girl of 17 would raise eyebrows. Anyone who knew the diffident Townsend and the headstrong Margaret would assume the move was because she wanted it. As Brown’s book makes clear, what Margaret wanted, she usually got. 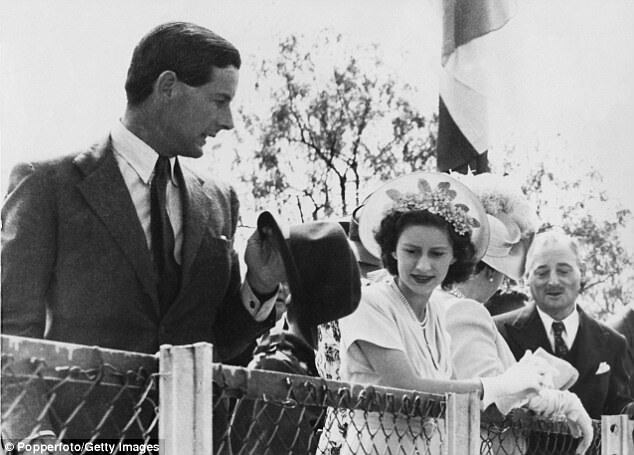 Earlier in 1947, Margaret and her sister, Elizabeth, had accompanied the King and Queen on a three-month State tour of Southern Africa. Townsend’s role was to chaperone the younger Princess. Reports of the tour judged the 5ft 1in Margaret to be ‘livelier, prettier, more sexually charged’ than her elder sister. Yet she was then still only 16. You would expect a teenage princess to be bored being toted from country to country with all the pomp and ceremony involved in State visits. But in future years Margaret would speak of remembering ‘every minute’ of the tour. In fact, as is known, she was only 14 when Townsend arrived as Equerry and Deputy Master of the King’s Household, and immediately had a crush on him. With his quick wit and boyish charm, Townsend rapidly became a popular member of the King’s staff. He rode with the princesses, flew planes in air races for them, played canasta with the Queen and enlivened gatherings at the royal residences. He was, moreover, a married man who lived with his wife and children in a grace-and-favour cottage in the grounds of Windsor Castle. The then Queen and her daughters were frequent visitors to the Townsend family home. 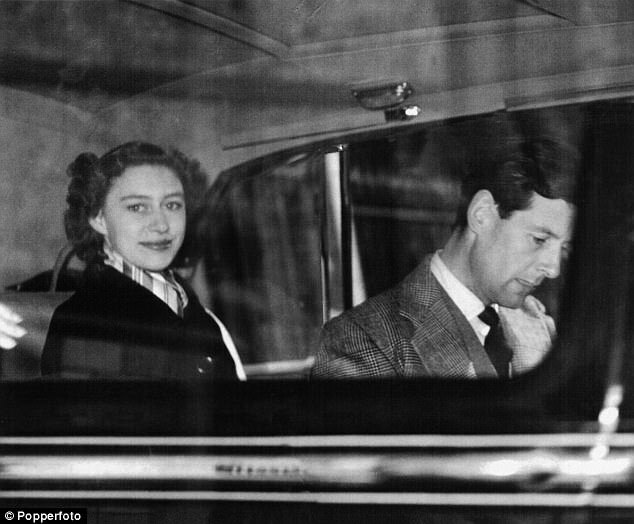 It was to be six years after that Belfast visit before his affair with the King’s daughter became public, thanks to a famous moment during the Queen’s Coronation on June 2, 1953, when Margaret was seen tenderly removing a bit of fluff from his lapel. As everyone knows, two years of royal turmoil followed, during which Townsend and his wife Rosemary divorced, and he and the Princess wanted to marry. The climax came on October 31, 1955, when Margaret announced that, ‘mindful of the Church’s teaching that Christian marriage is indissoluble, and conscious of my duty to the Commonwealth, I have resolved to put these considerations before any others,’ she would not marry the divorcee. What remained unsaid was that marrying Townsend would have meant Margaret sacrificing her royal status, its privileges and perks. And Townsend could scarcely keep her in the manner to which she had been accustomed. For his part, Townsend later claimed to have not developed romantic feelings for the Princess until 1951, by which time she was 21 and he was safely divorced. It was all very convenient, except for one person — Rosemary Townsend. A brigadier’s daughter, she took an old-fashioned view and protected the Royal Family from scandal by declining to divorce Townsend and name the princess as the other woman. Instead, she allowed herself to be the ‘guilty party’, admitting adultery with the man who became her second husband. For the next 50 years, she doggedly refused to speak up for herself. She and her second husband, banker John de Laszlo, had two children, before they, too, divorced. She then married the 5th Marquess Camden and had five happy years before he died in 1983. Townsend’s sons were uncomfortably aware their mother took the blame to protect the Royal Family’s honour. From Hugo, a psychotherapist who lives in London, there was virtually silence, his only comment on the death of Margaret that ‘we are all sad for the Royal Family that the Princess has died’. 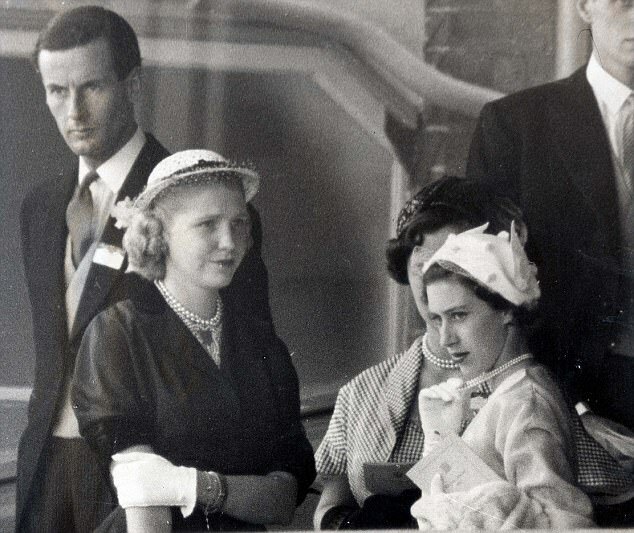 As for Belfast and the launch of the liner, imagine how the news of the adjoining bedrooms of Princess Margaret and Peter Townsend would have gone down just a month before she was a bridesmaid at her sister’s wedding. When Margaret and Townsend met again 37 years after their split, he was happily married to Belgian Marie-Luce Jamagne (with whom he lived in France and had a daughter) and they could talk with the same intimacy as they had before. It was 1992 and he was in London to attend a reunion of those who had travelled with the Royal Family in 1947. To avoid Press attention, Margaret declined an invitation to the reunion, but invited Townsend to tea. Three years later he was dead, but Margaret still had his letters, which she decreed could not be read until 100 years from her birth — in 2030. But for these new details, nothing has ever emerged about when their affair — which plunged the royals into its greatest crisis since the Abdication — actually began. We may have to wait 13 years for that deadline to expire to learn the unvarnished truth.